We are a 100% Guatemalan company that for more than 50 years we have been dedicated to satisfy the air transportation needs of our clients, providing commercial and private aviation services nationally and internationally. 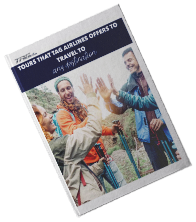 TAG Airlines was founded in 1961 as a family business, being the pioneer company of civil aviation in Guatemala. In 1972, TAG broke the monopoly of the then state company Aviateca, by incorporating a DC3 into its fleet. It was the first guatemalan company certified as an Air Carrier under the regulations of Civil Aviation and founder of the Association of Air Lines and Union of Cargo Air Lines of the Chamber of Industry, among others. Currently TAG Airlines operates more than 27 daily flights in 4 different countries such as Guatemala, Honduras, El Salvador and Belize. TAG operates with a fleet of more than 30 aircraft. In 2017, TAG incorporated the first commercial jet into its ranks, this being an Embraer ERJ 145 with registration TG-TAJ, the only commercial jet with guatemalan license plate .